It’s been a legal requirement for drivers and passengers to wear seat belts since 1983, however, seat belt law itself, isn't that simple. We all know the reasoning behind the legislation – the safety implications for not wearing one is a no brainer – but do you know what happens if you’re caught driving without a seat belt? Or who's responsibility it is if your passenger refuses to use theirs? And are there any exemptions from the law? Our comprehensive guide answers your questions, offering all you need to know about seat belt legislation. What is the seat belt law? Essentially, if your vehicle has seat belts you legally have to wear them. It's unlikey your vehicle will not have seat belts unless it's a very old classic as it’s been a legal requirement in the UK for seat belt anchorage points to be fitted in the front of all new cars since 1965, and for front seat belts to be fitted to all cars since 1967. The law was also changed in ‘67, requiring all cars manufactured since ‘65 to be retro-fitted with front seat belts. By 1987, all new cars sold in the UK legally had to have rear seat belts fitted too – but most manufacturers were already fitting them as standard. 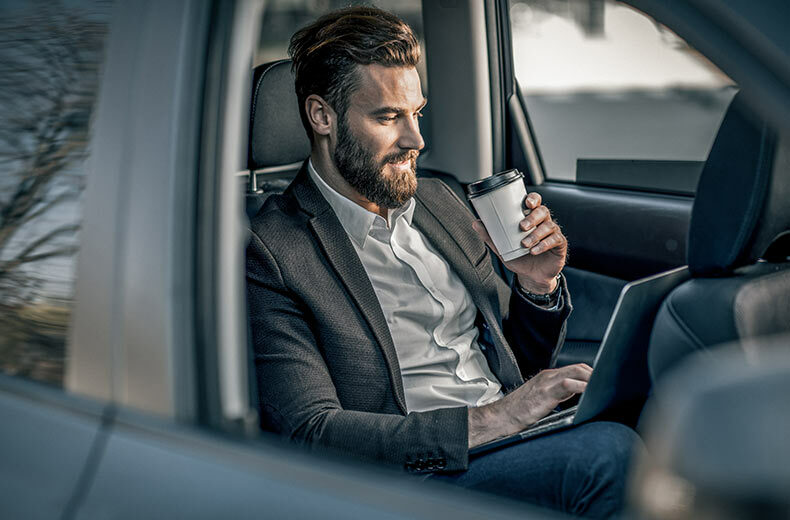 The law changed in 1989, making it a legal requirement for children travelling in the back of cars to wear seat belts, followed by another rule change in 1991 which dictated adult passengers must also wear seat belts in the back of cars. 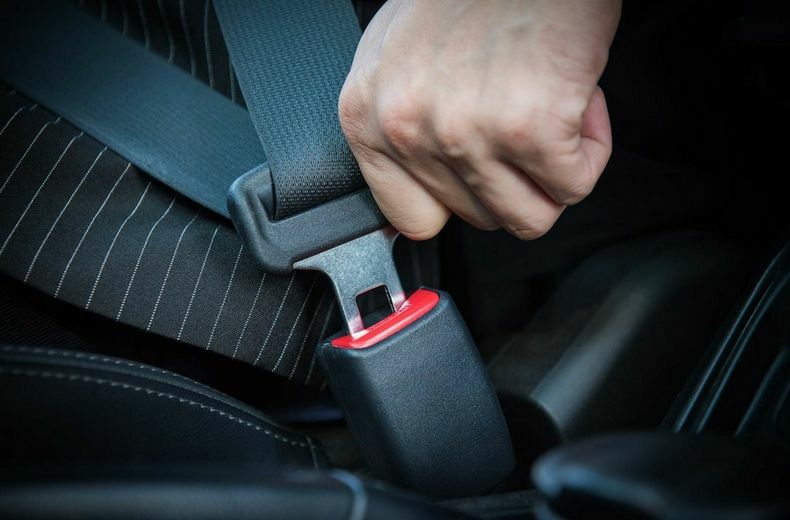 With front and rear seat belts a legal requirement for all new cars for 30 years – and legislation dictating that they must be worn since 1991 – wearing a seat belt ought to be human nature to anyone when getting into a car in the UK. Having loose animals in the car can be a distraction, and in the case of a crash they could cause serious injuries to themselves and other occupants in the vehicle if they’re propelled forwards as the car comes to a stop. The RAC sells a dog harness which attaches to the seat belt, and a dog guard which can be used if your dog is travelling in the boot. Get an instant online car valuation with RAC Cars. READ MORE: Is it worth adding legal expenses insurance to your car insurance? 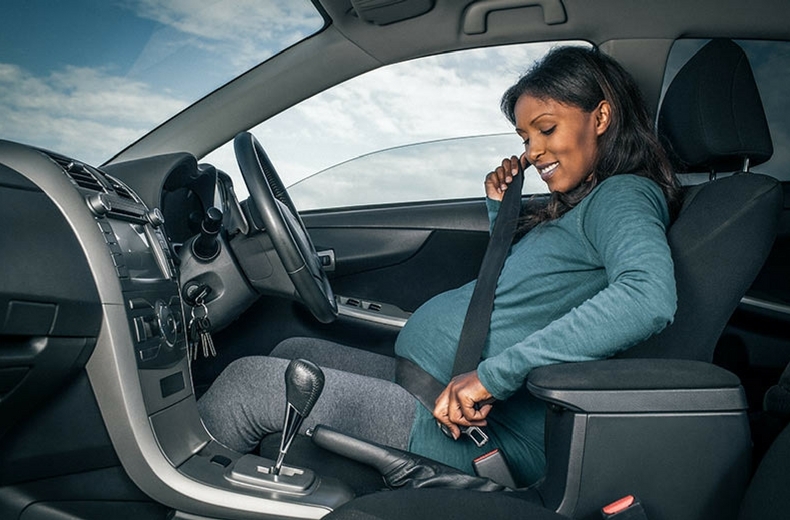 Legally, you must wear a seat belt when you’re pregnant unless your doctor has given you a ‘Certificate of Exemption from Compulsory Seat Belt Wearing’. This must be kept in the vehicle and must be shown to the police if they stop you and ask why you’re not wearing a seat belt. You’ll also need to tell your car insurance company. If you’re a licensed taxi driver ‘plying for hire’ or carrying passengers, you don’t need to wear a seatbelt, legally speaking. However, we recommend you should. There are a number of suggestions why this is the case: one is because you’re expected to get in and out of the car regularly helping passengers, while some say it’s because wearing a seatbelt could make taxi drivers vulnerable to assault. Passengers, however, must legally wear a seatbelt. Goods drivers travelling no more than 50 metres between stops don’t have to use their seatbelt between deliveries. Be warned, though, a police officer might want proof that you’re only travelling a short distance and you could be fined if you’re travelling more than 50 metres. If you have medical reasons for not wearing a seatbelt, you’ll need to ask your doctor for a ‘Certificate of Exemption from Compulsory Seat Belt Wearing’. With solid evidence that wearing a seatbelt can save lives in a crash, you might find your doctor reluctant to give you exemption from wearing a seatbelt. You’ll need to make it clear why you feel you need it - and get a second opinion from another doctor if needs be. If you are given a certificate, keep it in your vehicle and be prepared to show it to police if you’re stopped in your car. When driving, it’s fairly obvious to observant police officers if you’re not belted up, so you might find yourself pulled over more regularly than you would be otherwise. When travelling on a minibus, bus or coach, you must wear a seat belt if there’s one available. Most modern minibuses and coaches (registered since October 2001) will have belts fitted throughout. In minibuses, drivers must wear seat belts, while children can only travel in the front if a car seat or adult seat belt is fitted in the front. 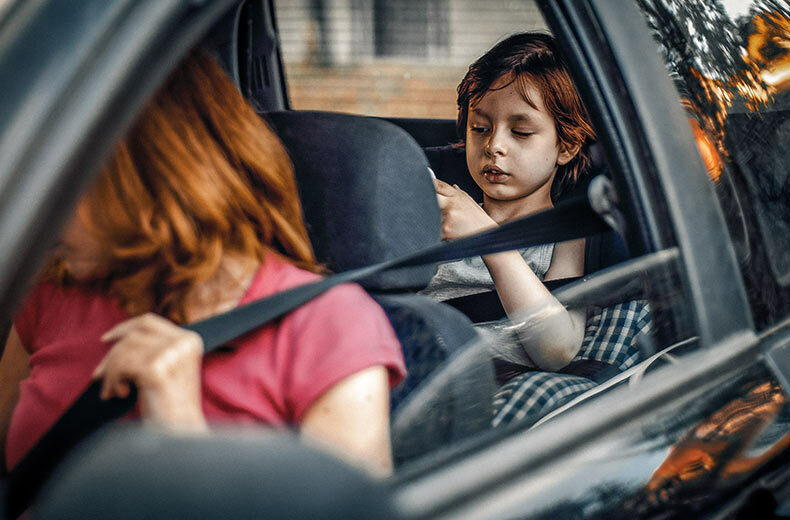 The driver must ensure that children under three must use an appropriate restraint if sitting in the front, while those aged 3-12 and under 1.35 metres should use an appropriate restraint if available. If not, they must wear a seat belt. Older children must wear seat belts - while anyone over 14 is responsible themselves for belting up. In the rear seats of small minibuses, passengers must wear seat belts or use an appropriate child restraint. The driver is responsible for ensuring under-14s are suitably restrained. In larger minibuses, under-14s are not required to wear seat belts but it is highly recommended. If you’re caught travelling in a vehicle without wearing a seat belt - and none of the exemptions apply - you could be hit with an on-the-spot Fixed Penalty Notice of £100 (which will not carry any penalty points). Remember, the driver is responsible for children aged up to 14 and you could be fined for each child passenger without a belt. Those over 14 are responsible for their own actions - so if you’re caught not wearing a belt as a passenger, you could be hit with a £100 fine. Not wearing a seat belt isn’t an endorsable offence, so you won’t be given penalty points on your licence if you’re caught without a belt. This means it won’t affect your insurance at renewal time, either, as you don’t need to inform the insurance company. READ NEXT: Do you know which prescription drugs are illegal to drive on? The information in this article does not constitute legal advice and is provided for general information purposes only. We do not warrant that the information is complete, true, accurate, up-to-date, or non-misleading and shall not be liable for any technical, editorial, typographical or other errors or omissions contained within it. You must not rely on the information on this website as an alternative to legal advice from a solicitor.